I saw this man in a café in Florence, and I was sorry not to have asked if I could paint him. 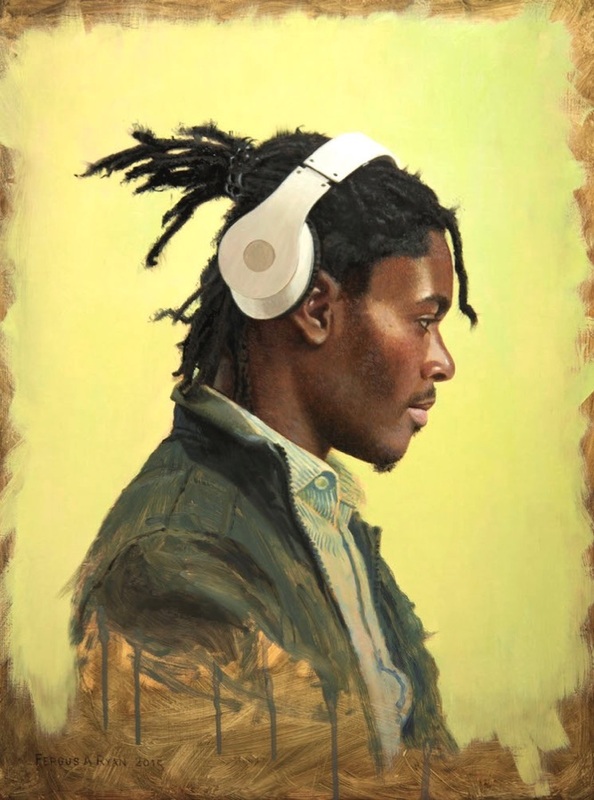 I thought he had a great profile with those amazing dreadlocks and Beats headphones, against a light wall. So I went back looking around there for almost a month, but he never returned. Then one Sunday I was in a small English-speaking church and Sarah said, 'You won't believe this.' He was sitting behind us. What were the chances of that? Small world. See Video section for this painting in progress.